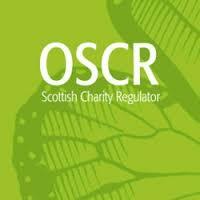 OSCR recently announced changes to how they monitor and review Scotland’s 24,000 charities. From 1 April, there will be increased information available on the Scottish Charity Register, with annual reports and accounts for larger income charities and charities that are Scottish Charitable Incorporated Organisations (SCIOs). These changes will be reflected in the annual return form completed by all charities, however, reporting requirements for smaller charities will be kept to a minimum. A new ‘notifiable events’ procedure will see charities required to inform the regulator of matters such as fraud, allegations of abuse, investigation by other agencies such as HMRC or the Police, or substantial donations from an unknown source where these occur, or to confirm that they have not. OSCR are also urging the remaining 20 per cent of the sector not already signed up for our online services to make sure that they do so as soon as possible! Sign up here for OSCR Online. OSCR Online is secure and simple – it gives your charity control and flexibility, and cuts costs. It’s already used by over 80% of charities. If yours isn’t one of them, now’s the time to sign up before our new Targeted Regulation takes effect!